Made in the USA!These boards are the finest wood cutting boards you will find. Great pride has been taken in the production of our boards and it shows. 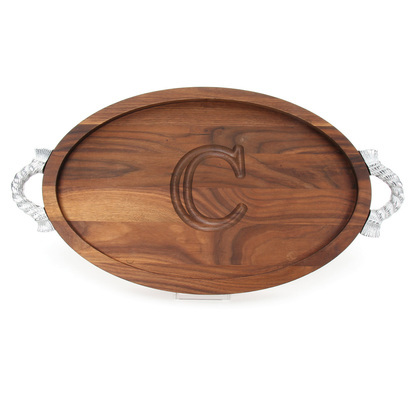 Our personalized (monogrammed) cutting boards are made from select maple which is a very dense wood and beautiful Walnut, making it excellent for kitchen use. Please indicate letter for personalization.